On Memorial Day, as we stop to remember those who have served our nation, I offer you a glimpse into the National Memorial Cemetery of the Pacific Punch Bowl. Also, if you have not done so, I urge you to visit one of our National Cemetery’s, to pay your respects to the brave men and women whose sacrifice ensures our freedom. Stroll the grounds and honor their service. 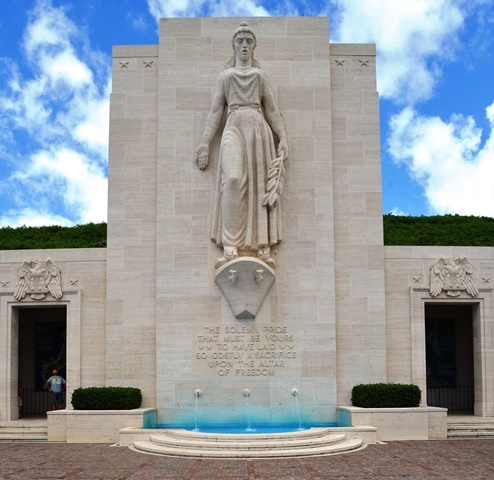 The Honolulu Memorial, features the sculpture that is said to represent the grieving mother’s, whose children were killed in war. 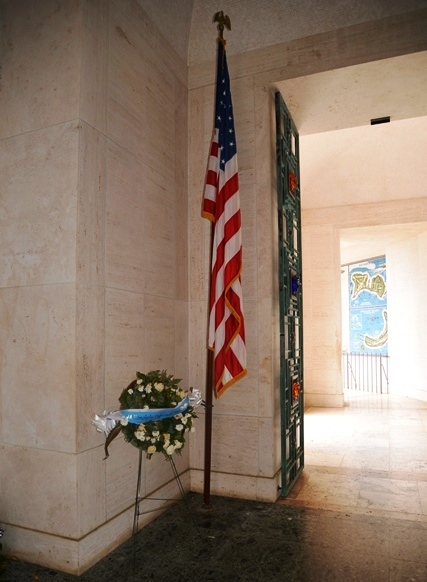 The staircase is flanked by stone walls that are engraved with names of over twenty-eight thousand “military personnel who are missing in action or were lost or buried at sea in the Pacific during these conflicts . . .”. 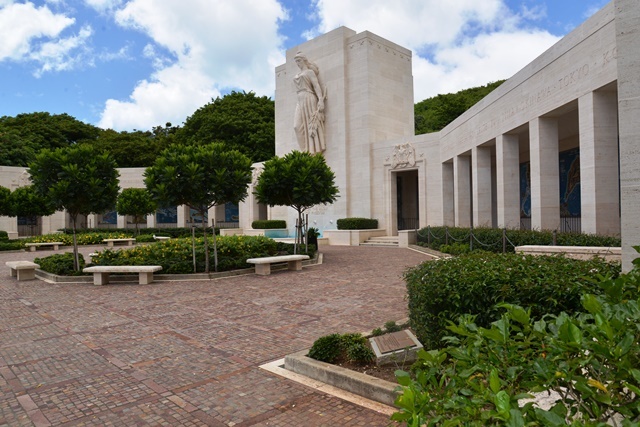 “Few national cemeteries can compete with the dramatic natural setting of the National Memorial Cemetery of the Pacific. The “Punchbowl” was formed some 75,000 to 100,000 years ago during the Honolulu period of secondary volcanic activity. A crater resulted from the ejection of hot lava through cracks in the old coral reefs which, at the time, extended to the foot of the Koolau Mountain Range. . .
During the late 1890s, a committee recommended that the Punchbowl become the site for a new cemetery to accommodate the growing population of Honolulu. The idea was rejected for fear of polluting the water supply and the emotional aversion to creating a city of the dead above a city of the living. 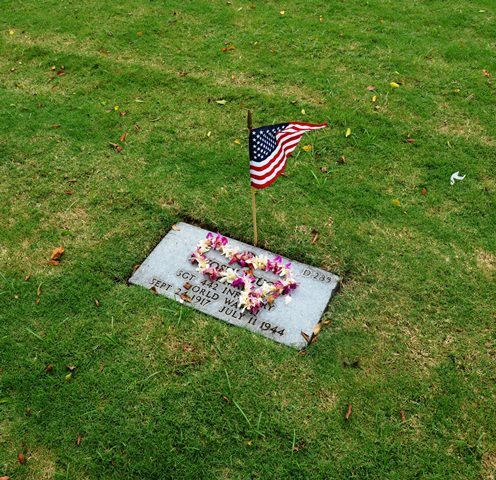 Fifty years later, Congress authorized a small appropriation to establish a national cemetery in Honolulu with two provisions: that the location be acceptable to the War Department, and that the site would be donated rather than purchased. 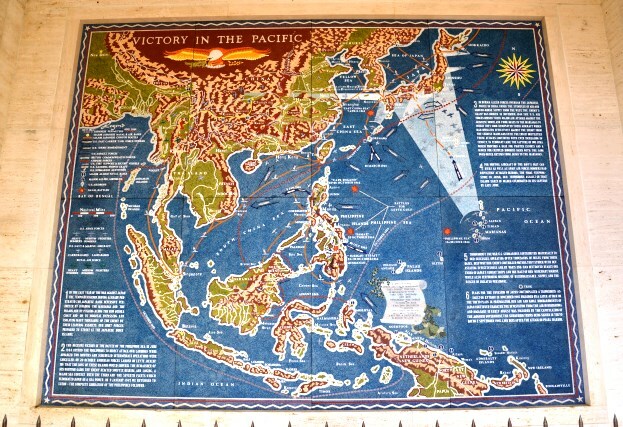 In 1943, the governor of Hawaii offered the Punchbowl for this purpose. The $50,000 appropriation proved insufficient, however, and the project was deferred until after World War II. 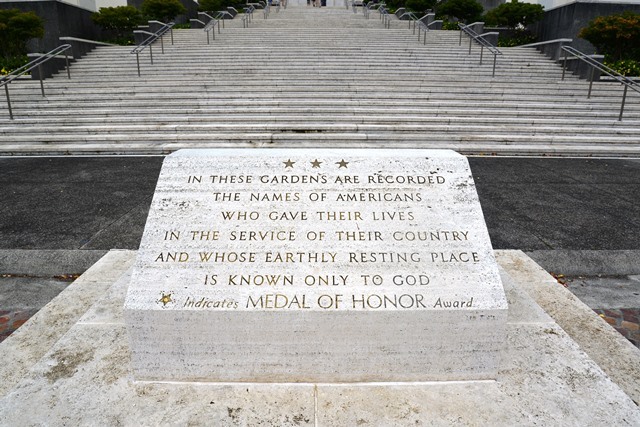 By 1947, Congress and veteran organizations placed a great deal of pressure on the military to find a permanent burial site in Hawaii for the remains of thousands of World War II servicemen on the island of Guam awaiting permanent burial. 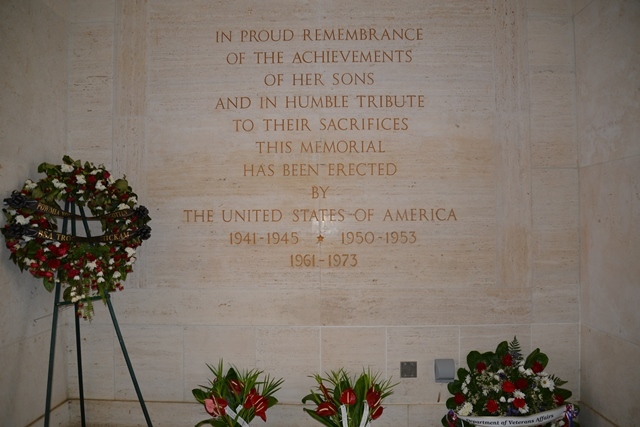 Subsequently, the Army again began planning the Punchbowl cemetery; in February 1948 Congress approved funding and construction began. 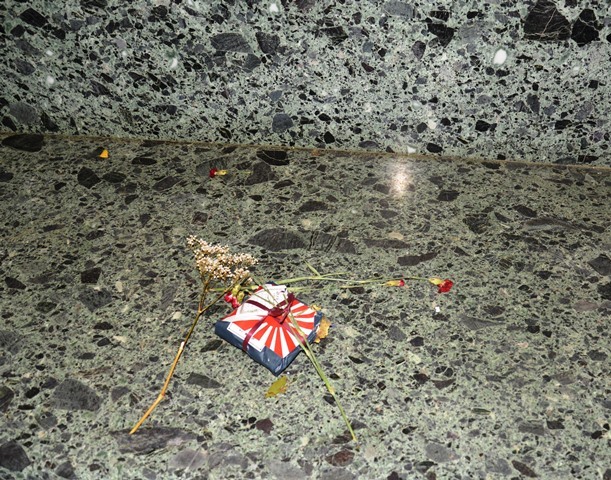 A bench in the chapel; I do wonder what was inside the small package. This entry was posted on May 28, 2018 at 12:01 am and is filed under Holiday's, SlideShow. You can follow any responses to this entry through the RSS 2.0 feed.